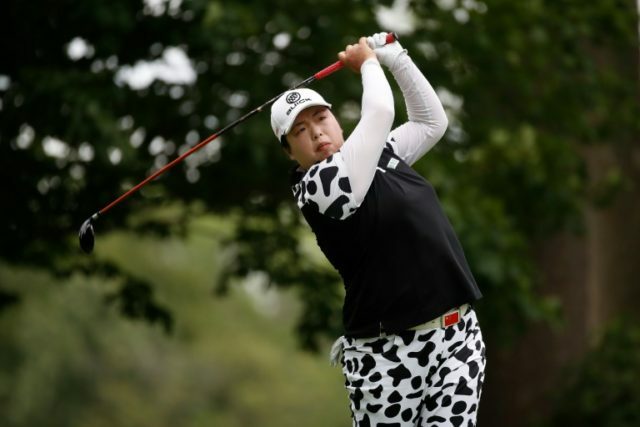 Shanghai (AFP) – When Feng Shanshan was confirmed as the women’s number one golfer she marked the historic achievement by ordering steak at Dallas airport and sending a photo of it to her parents. The 28-year-old had every reason to celebrate even while swapping planes: she was the first Chinese — male or female — to top the golf world rankings. Feng was already the first Chinese on the women’s US-based LPGA Tour; the first Chinese of either gender to triumph at a major championship, in 2012; and in 2016 she won a bronze medal at the Rio Olympics. Her latest feat, in November, underlined the growing heft of China in a sport that was banned under Mao Zedong because he considered it too bourgeois. But Feng is not your typical Chinese — hence the steak celebration and cow-print trousers she wears on the golf course — and the image of her spending hours repetitively hitting golf balls would not quite be correct either. “She is more into quality versus quantity, but also she is a person who has a high golfing IQ,” said Feng’s long-time swing coach Gary Gilchrist. “What I mean by that, she understands that the key to this game is more about preparation and mental toughness than anything else,” he told LPGA.com, calling Feng “a golfing mother to the Chinese” because of her trailblazing success. Feng’s ascension to the top came a decade after she turned professional and was sealed with back-to-back LPGA victories late last year, first in Japan and then on home soil on Hainan island. She may be tough but Feng also knows how to have fun — those cow-print trousers and other colourful clothing — and typically celebrates victory with a hearty meal, a spot of karaoke or a splurge at the shops, preferably on handbags. She is frequently described as having the best sense of humour in women’s golf, but she is less comfortable with one other tag often attached to her. “I always tell the media that I don’t think I’m a pioneer, I think I’m a guinea pig,” she said after climbing to the top ranking. “Before me there was nobody (from China) on the LPGA and actually experiencing tour life. In her rookie year Feng thought that she would play 10 LPGA seasons and then retire, but 2018 will be her 11th and she says — in fluent English — that “I’ll be here for a few more years”. Feng hails from the southern city of Guangzhou and names Gilchrist and her father Feng Xiong as major influences since taking up the game aged 10, when golf was still a mystery to most Chinese. After bronze in 2016 she wants to win gold at the Tokyo 2020 Olympics to add to her nearly $10 million in LPGA career earnings and nine tour titles. Feng was the fifth women’s number one of last year but veteran sports writer Spencer Robinson, who has closely followed her career, says that she has the self-belief to stay at the top in 2018. “Shanshan just loves playing golf — and winning,” Robinson, also chief communications officer at the Asian Golf Industry Federation, said ahead of the first LPGA event of the year, in the Bahamas from January 25. “Given the natural talent she possesses, as long as she maintains that attitude and desire, she’ll remain at the top of the game,” said Robinson, who believes that Feng will add to her tally of major wins in the coming years. Another major is Feng’s stated goal for 2018. “Nothing fazes her,” added Robinson.